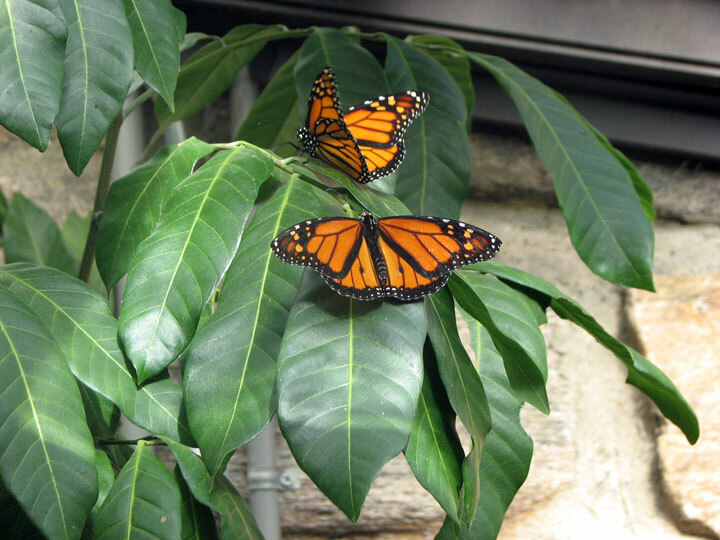 By Joyce Newman, Environmental Reporter | April 11, 2019 View as "Clean Read"
The local Monarch butterfly population has dramatically declined due to pesticides, herbicides and loss of native habitat. But the Larchmont Library and the Larchmont Mamaroneck Healthy Yards Project have some readily available solutions for homeowners in their newly created reading room exhibit and an upcoming special event. The exhibit features books and guidelines about creating gardens to sustain people, plants, and wildlife. In addition, the library will host a special presentation by Sandy Morrissey, President of Bronx River-Sound Shore Audubon, who will speak on how to raise Monarch butterflies at 2:00pm on Saturday, April 27th. Sandy is an avid gardener who will share tips for growing a garden with milkweed that attracts Monarchs and provides essential nutrition for metamorphosis. Milkweed seeds or plants will be available at the event. The newly formed, volunteer Larchmont Mamaroneck Healthy Yards Project is a collaboration of the Town of Mamaroneck Sustainability Collaborative, Village of Larchmont Environmental Committee and the Village of Mamaroneck Committee for the Environment. It is dedicated to helping residents maintain safe, appealing and sustainable lawns and gardens without the use of pesticides and herbicides. For more information about the April 27 Sandy Morrissey event or the Larchmont Mamaroneck Healthy Yards Project, please contact the Town of Mamaroneck’s Sustainability Coordinator at: sodierna@townofmamaroneckny.org at 914-381-7816.